Our November Exhibition, People to People, Place to Place: Sydney, Tokyo Nagoya at Kudos Gallery, Paddington was a great success. Thanks to all those that spread the word about it. 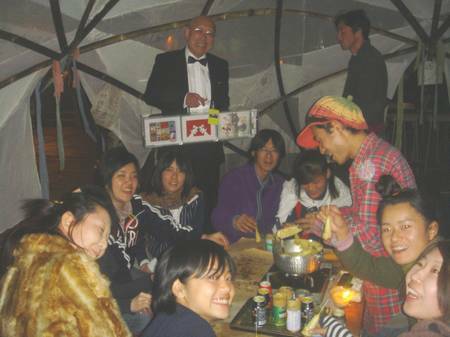 It was the first time the works of the first 60 Australian and Japanese participants in the Australia-Japan Match Box Project were exhibited together. Thanks to Tony Egan, great shots of opening night were taken. See Tony’s photos. A Japanese article re the exhibition can be read on Nichigo Press’ website. Naomi spent over a month in Japan exhibiting the project at the International Design Museum, Nagoya�and spending time in Tokyo. 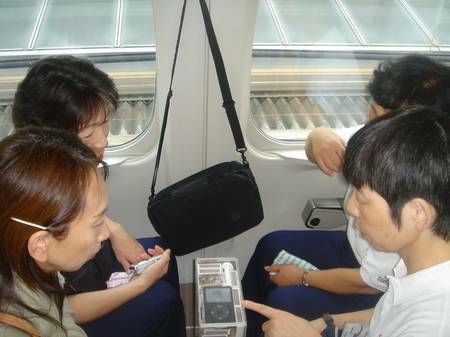 Throughout the trip Naomi introduced the Australia Japan Match Box Project to future collaborators and members of the public, travelling with 2 Match Box Project Galleries, featuring 12 participating artists. 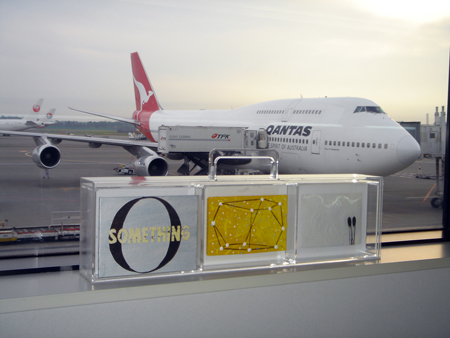 Side A of the first Gallery exhibited the work of Leanne, and the first Australian and Japanese Match Box Project participants, Zoe MacDonell and Yutaka Katoh. 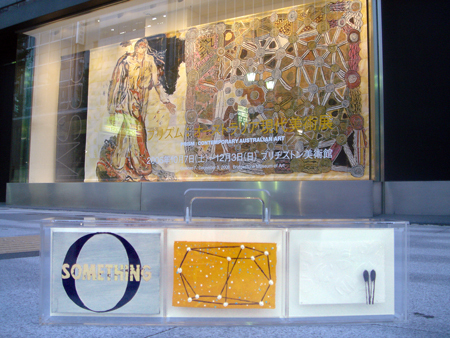 Side B exhibited the works of Leanne and two artists exhibiting in Japan during Naomi’s travels. Imants Tillers and Hirotoshi Sakaguchi. We invited Sydney Curatorial team, back in 5 to curate a Match Box Gallery. They invited Mark Brown, Hamilton Darroch, Helena Leslie, Luis Martinez, and (late) [ant mrav], 5 artists from Sydney who respond to their immediate environment within their practice. 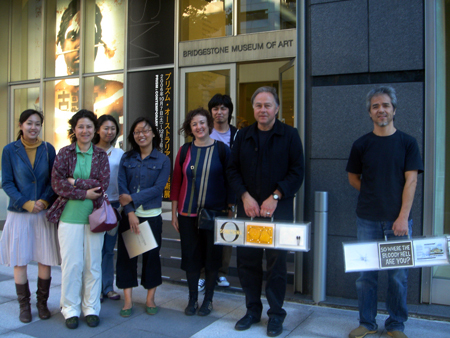 Imants Tillers met with Naomi and Match Box Tokyo participants. He conducted an Artist Talk at the Bridgestone Museum of Art where his work was exhibiting in Prism:Contemporary Australian Art. Match Box Gallery in front of Bridgestone’s window featuring Imants Tillers Prism, 1986. 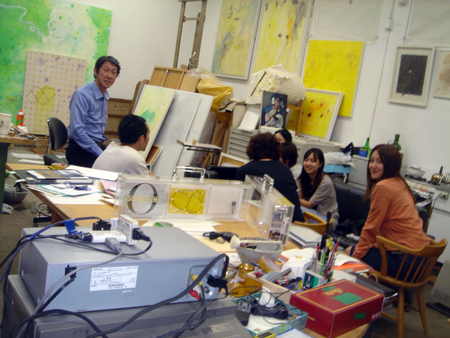 During a visit to Sakaguchi’s Art studio, Sydney Match Box Tour participants reminisced about the great time they had in Australia. 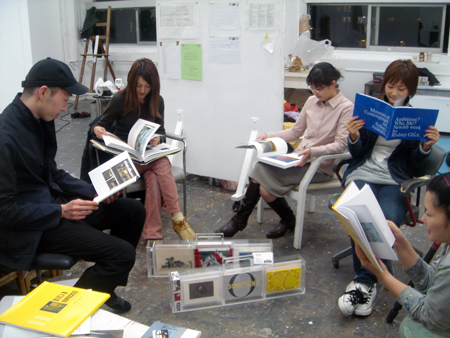 In honour of the inaugural Match Box Projects’ Sydney Art Tour and Cultural Exchange Program, Naomi presented Tokyo National University of Fine Arts and Music with numerous books on Australian Contemporary Art. This was thanks to the generous donation of books by the Museum of Contemporary Art, Sydney and the Art Gallery of New South Wales. 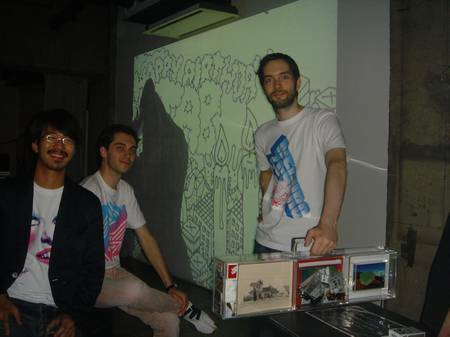 TOKYO ART BEAT’S 2ND ANNIVERSARY CELEBRATION, AT SUPERDELUXE. www.tokyoartbeat.com is a wonderful bi-lingual website on what is happening in Tokyo in the Art and Design scenes, including great instructions in english on how to get to the many galleries and museums in Tokyo. 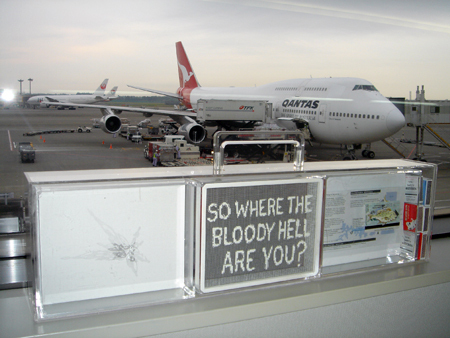 A definate read before and during a trip to Tokyo . 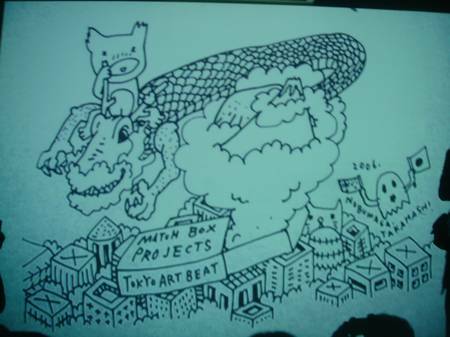 At their 2nd anniversary party, local artist/illustrator, Nobumasa Takahashi drew a wonderful tribute to Match Box’s Tokyo Art Beat. Nobumasa’s tribute: It was wonderful to see it evolve on the big screen. Jennie Tate, who was in Japan filming her experimental film on the Sumida River popped in to the opening of Hirotoshi Sakaguchi’s solo exhibition at Omotesando Gallery. It was a wonderful surprise for him and a great opportunity to catch up with Hirotoshi and his students who had visited Jennie’s home/studio on the Match Box Project Sydney Tour in August. 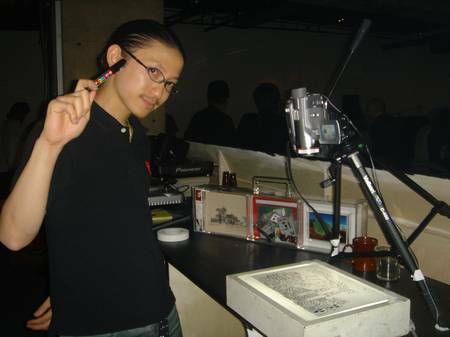 Yutaka Katoh is a Designer and Match Box Label Collector. Through his generous support, Match Box gained a wonderful insight into the history of Japanese art and design on matchboxes on a research trip to Japan in May. 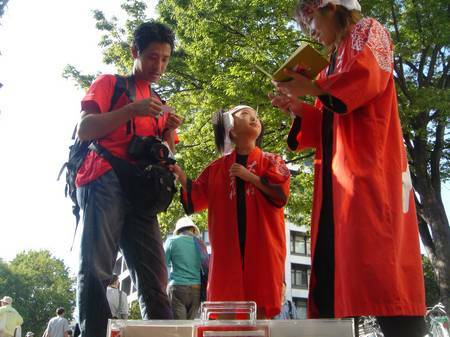 Yutaka become the first Match Box Project Participant from Japan. Naomi joined him in Shibuya where he was judging a Match Box design competition. Linda and helpers at Youkobo Art Space. 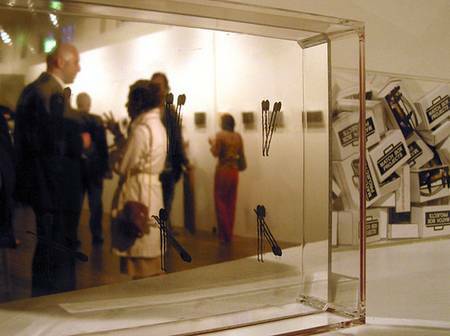 The response to the Match Box Galleries by the general public was amazing. Naomi took numerous photos of the locals. 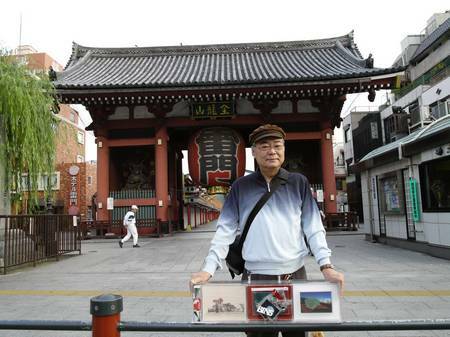 This photo was taken at�Asakusa with one of the�locals after he was�introduced to Match Box Galleries.� Co-incidently he�knows Match Box’s Yukata Katoh quite well! Our�first International Exhibition was held at the Design Museum, International Design Centre, Nagoya from the 14th - 31st October. 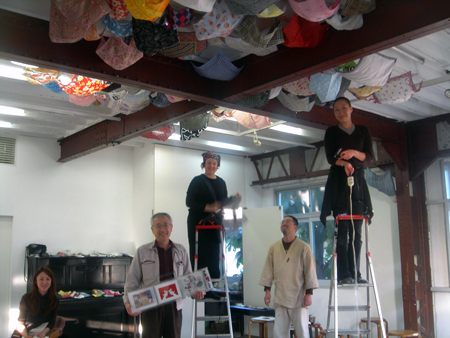 Naomi travelled to Japan to exhibit the�works of 30 Match Box Project’s participants in 5 Match Box Galleries. 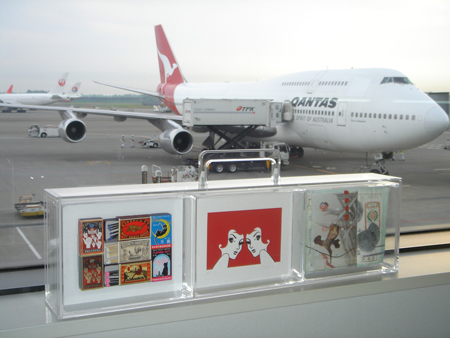 Whilst in Nagoya Naomi travelled out and about with our Match Box Gallery curated by back in 5. 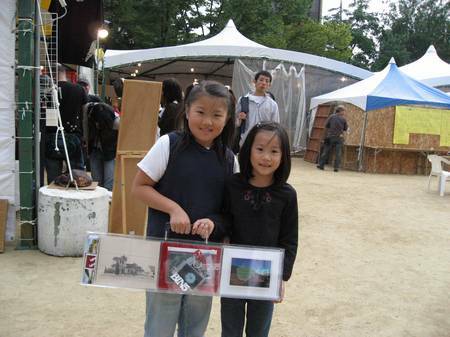 Naomi attended the yearly Nagoya Art and Design Fair at Nadya Park. Performing artists with Match Box Projects back in 5 Gallery. 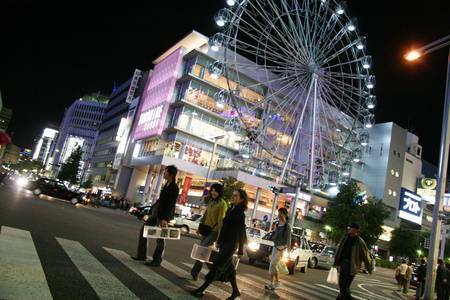 Naomi was introduced to Nagoya by night by members of Futoumei. 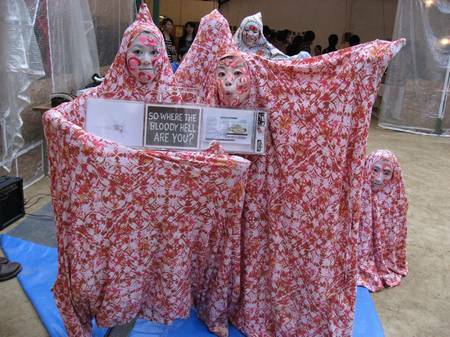 In Nagoya, Naomi visited the yearly Nagoya festival. Associate Dean of Aichi Geidai introducing Match Box Gallery to his students at the festival. 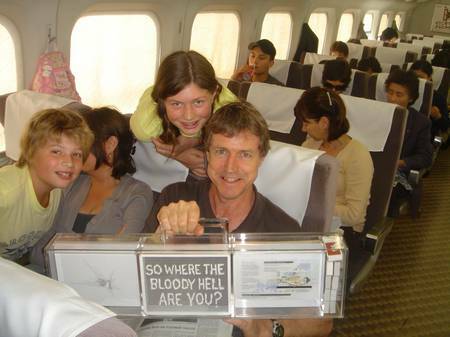 Fellow Australians travelling through Japan. 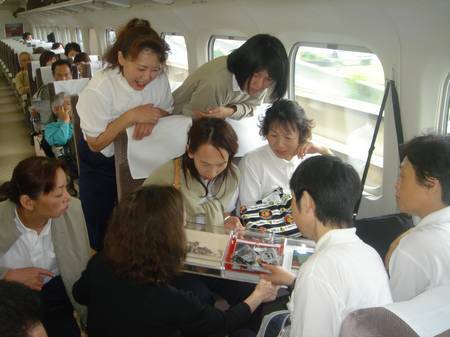 Osaka Women’s Volleyball group who were on their way to a tournament. 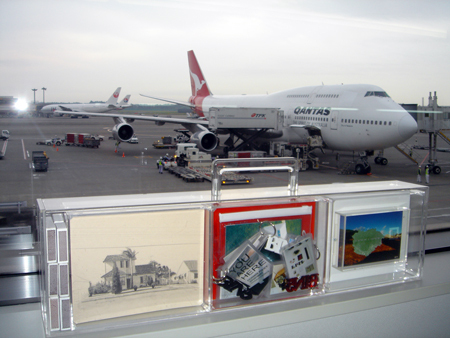 Thanks to an apple iPod, many Match Box Gallery guests were able to explore Sydney through Match Box images.